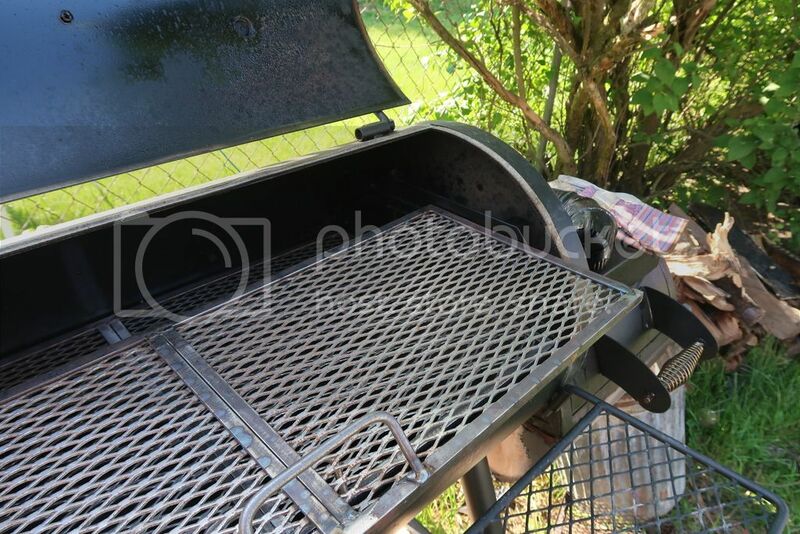 Any type of purchased BBQ Pit. I commissioned this and I think it came out freakin' hot! 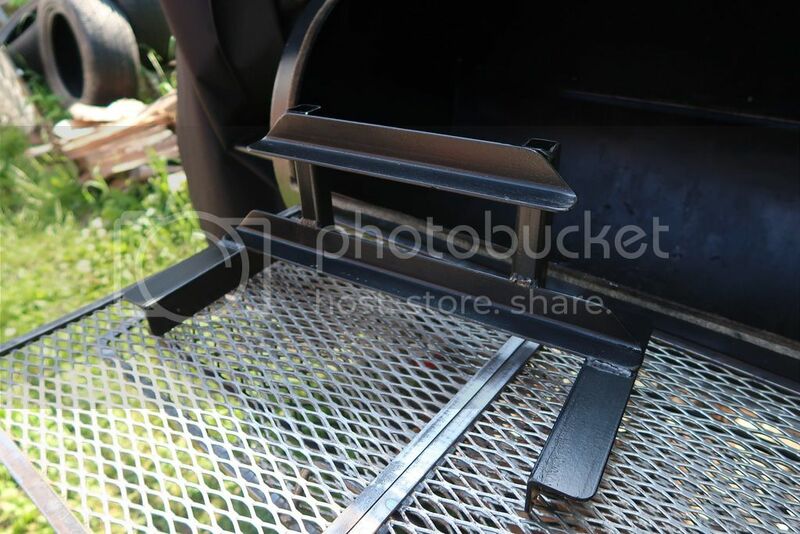 Two removable shelves, but the whole system is completely free standing no welding needed. looks like a nice system you have there. Going to give you quite a bit of extra room. 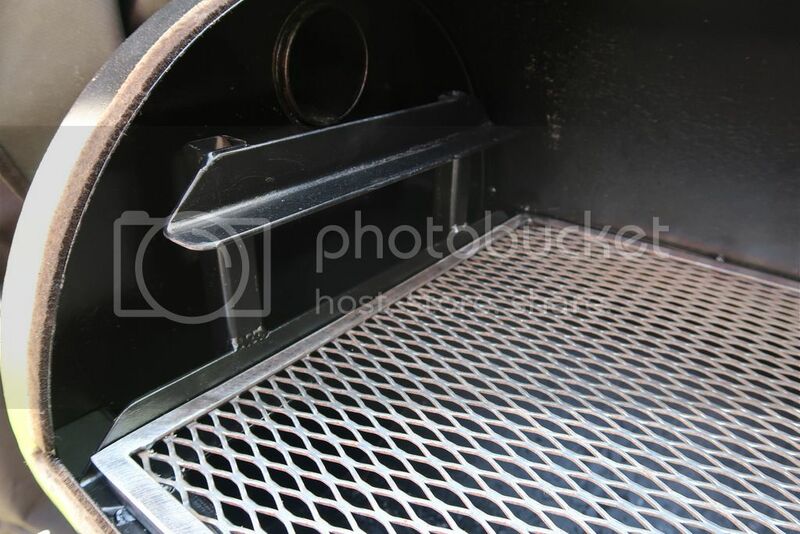 You may want to consider cutting that handle back off on the upper grate. It will be getting in the way at some point. 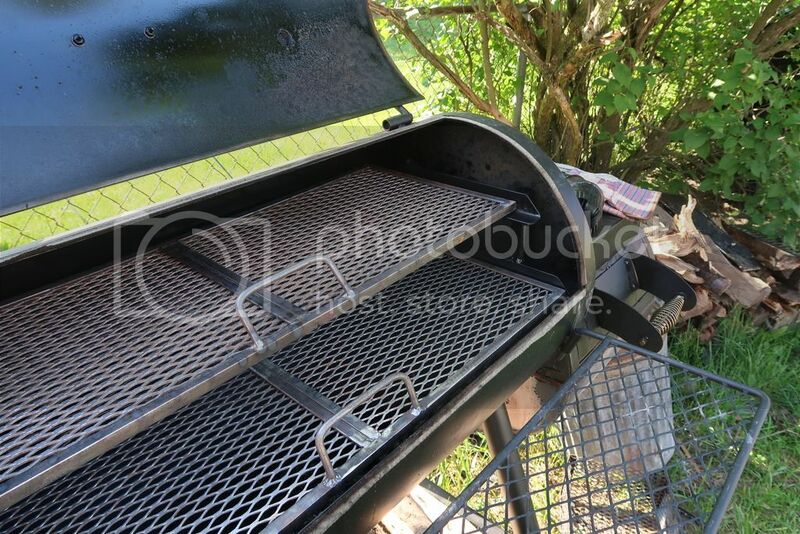 Only need pull out handles on the lower grate. 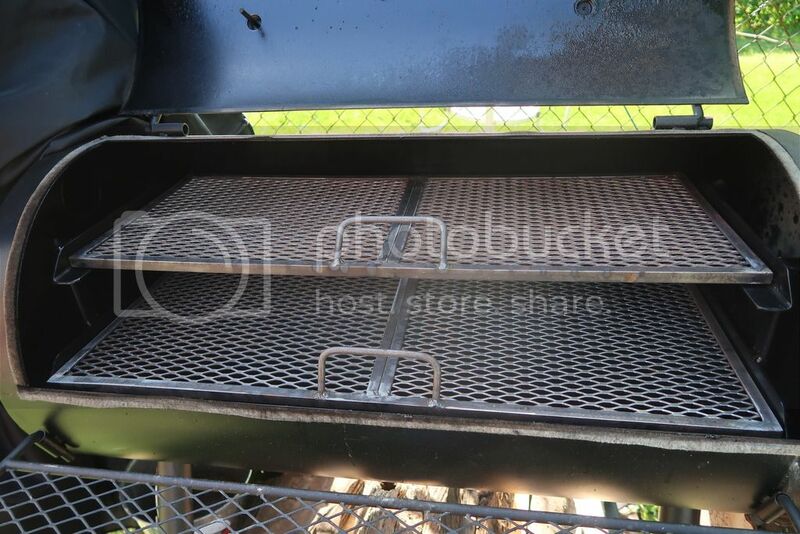 Grab the bottom of any upper grates to pull them out. 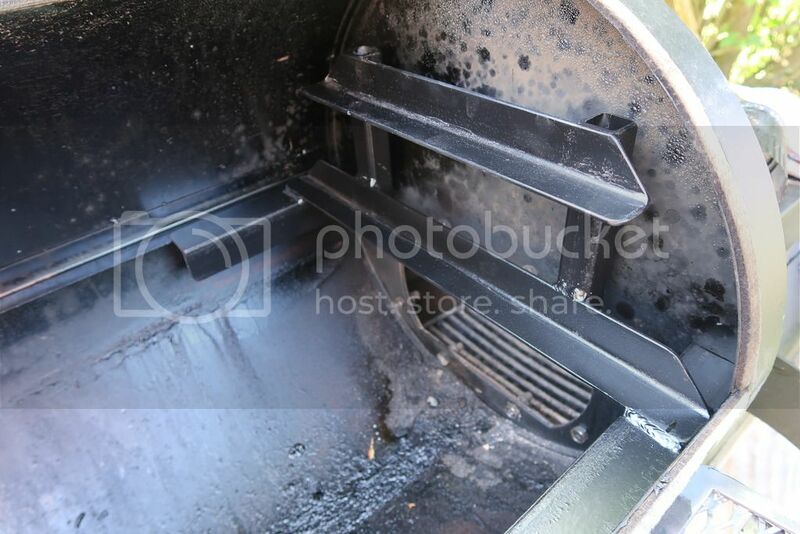 Nice job and clean looking work though. I need that. Did you make it yourself or is it available online? How bout some more beans Mr.Taggert? I'd say you've had enough! Rambo wrote: I need that. Did you make it yourself or is it available online? I know right, I can't believe no one has made this yet! I had it made for me. I would be more than happy to put you in touch with the person if you would like.